Preheat oven to 350°F and have the baking pan you’ll use for the double boiler handy. 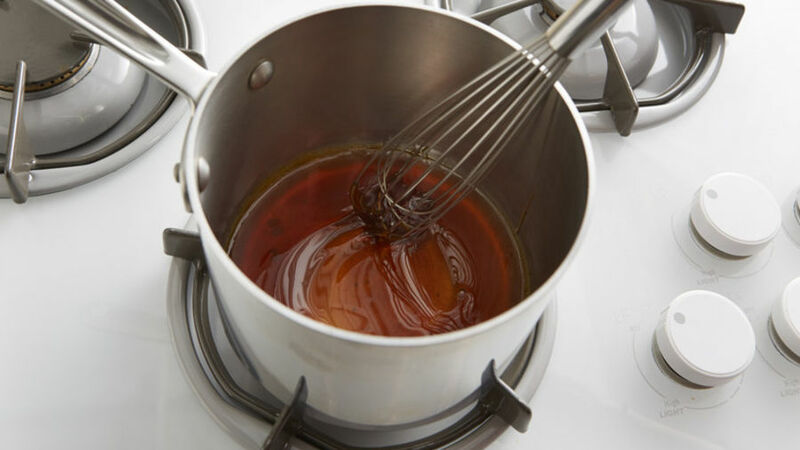 Place the sugar for the caramel in a saucepan on medium heat with the 2 tablespoons of water until it melts evenly. Cook until the caramel turns golden-brown in color. Pour the caramel into the baking pan you are using. Spread the caramel inside the baking pan carefully until it covers the sides. Let cool. Add the eggs and blend for a few seconds. Then add the evaporated milk and mix. 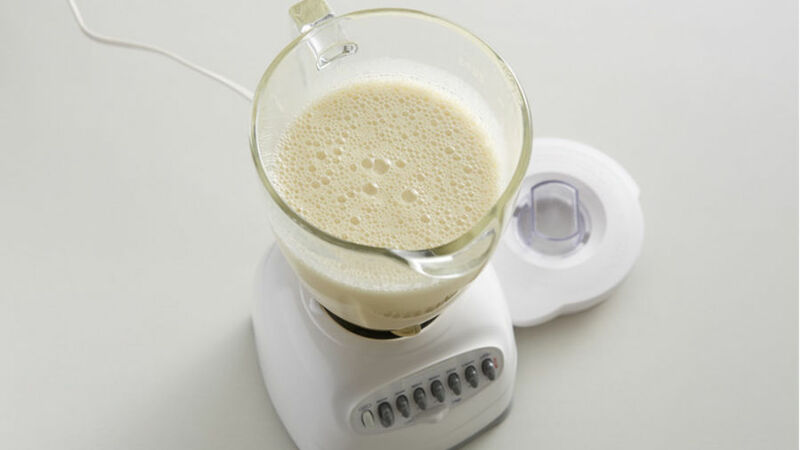 Incorporate the condensed milk and mix. 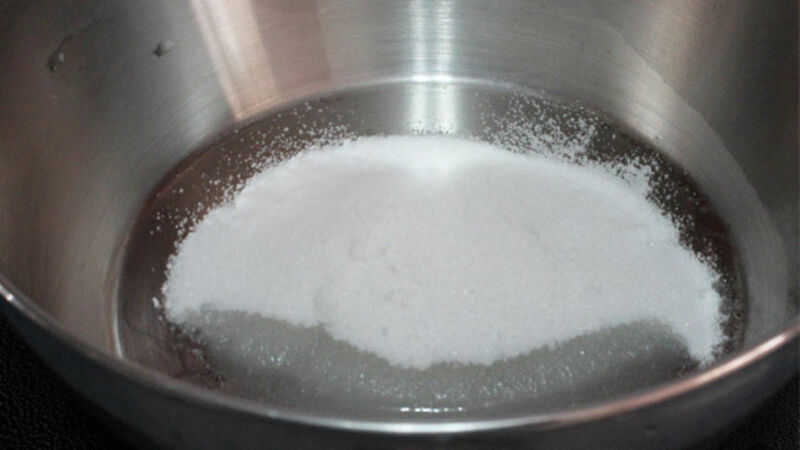 Add the vanilla and sugar and continue to mix until you get a homogeneous mix. 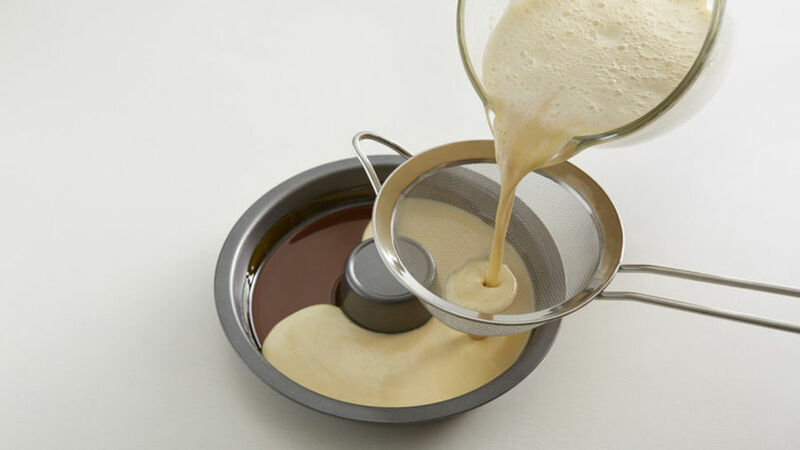 Strain and pour the mix into the baking pan to which you previously added the caramel. Put it in the oven in a double boiler for 45 minutes. Verify that it’s ready by using a skewer stick or a thin knife. If the knife comes out clean it means that the flan is ready. Carefully remove it from the oven to avoid burning yourself, and place it on a wire grill. Let cool at room temperature until it is completely cool. Remove from the pan and put the flan in the fridge until it’s time to serve. Crack the eggs in a separate container to avoid ruining the mix in case one of them is not good. 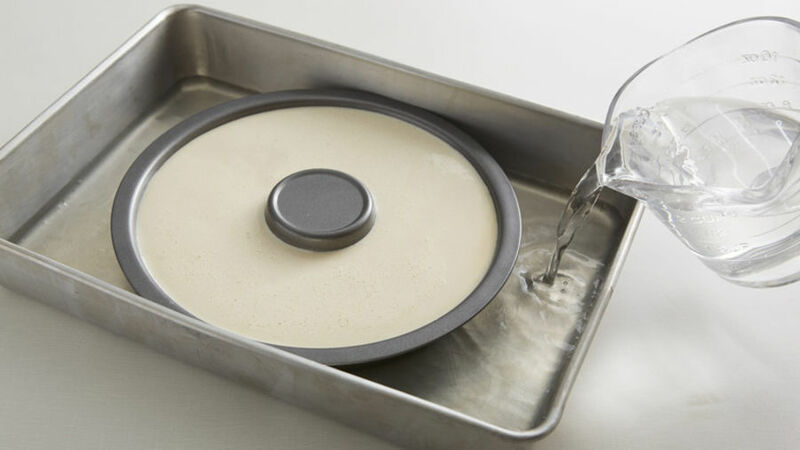 I’m sure that if I explain how to make flan step by step, you’ll be convinced that it is a very easy thing to do. That’s why I’m going to explain it in a simple way and as hands-on as possible so that you will feel confident in what you are doing and you won’t miss a single step. Dare to make it and surprise the whole family! This is a very versatile dessert. Once you know the basics, you can let your imagination run wild and prepare it in many different flavors. 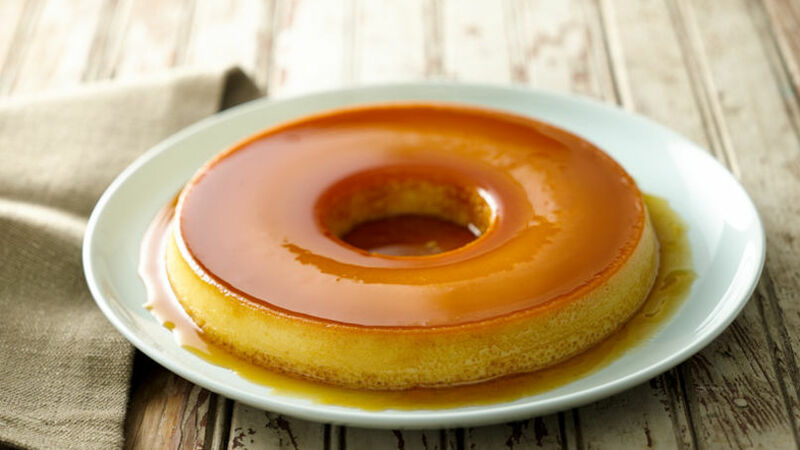 Here in Qué Rica Vida, you’ll find many flan recipes, all of them delicious.